It looks like it might be some sort of synthesis board game. But the grid above is actually a way of using touch to design new hybrid sounds. And it could appeal to both newcomers and synth die-hards alike. Wolfgang Palm must really like his iPad. 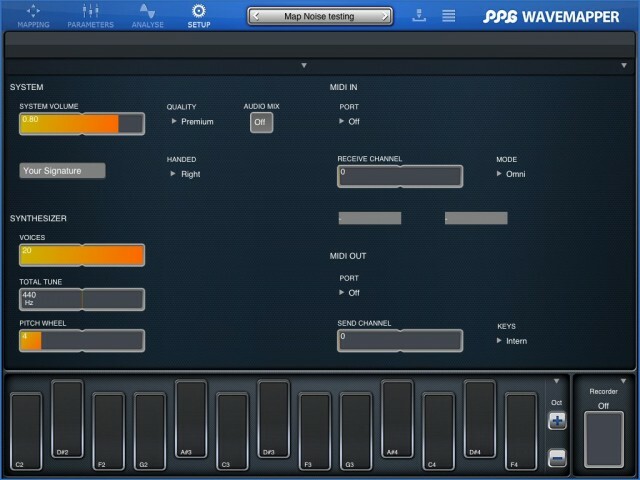 The digital synthesis pioneer, the founder of classic maker PPG and credited with inventing wavetable synthesis, has already had a thunderous debut on the iPad. His PPG WaveGenerator has been one of the best-reviewed synths for Apple’s mobiles yet. 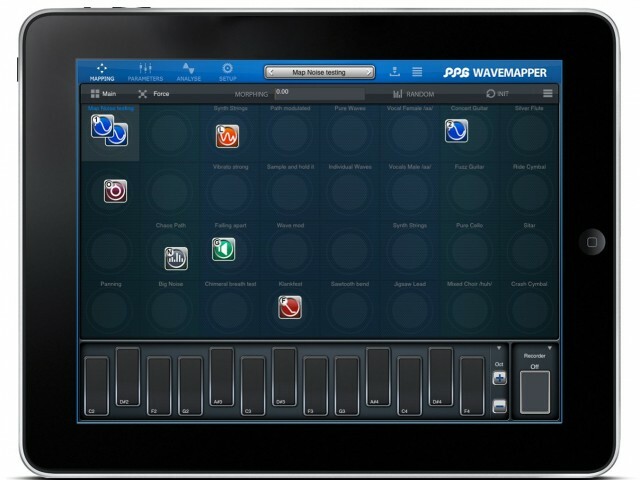 But, apparently not resting on his laurels, he’s already back with a sequel, the PPG WaveMapper. The new synth features plenty of functionality, but its titular, visual approach to mapping sound design and modulation is likely to be the big draw. And that visual approach could, in turn, woo some people newer to synthesis and sound design. We should see the results in the next couple of weeks, and a video is due this week. In the meantime, though, we’ve got some features and screenshots direct from the developer to CDM to gawk at. 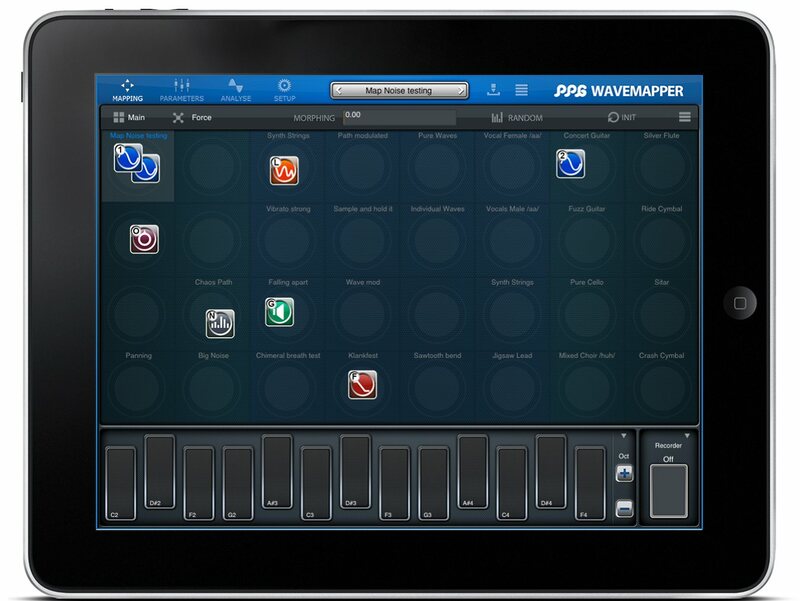 PPG WaveMapper isn’t just modular; it treats every single sound parameter as equal, set out on an open visual field you can navigate from the iPad screen – with or without a previous background in synthesis architecture. Most synths treat different kinds of parameters as distinct; you’ve got your waves (the sound sources), envelopes, different kinds of modulation, and they are handled separately. Not so in WaveMapper. A “module” is simply a module, whatever synth parameter it may represent, from envelopes to waves. 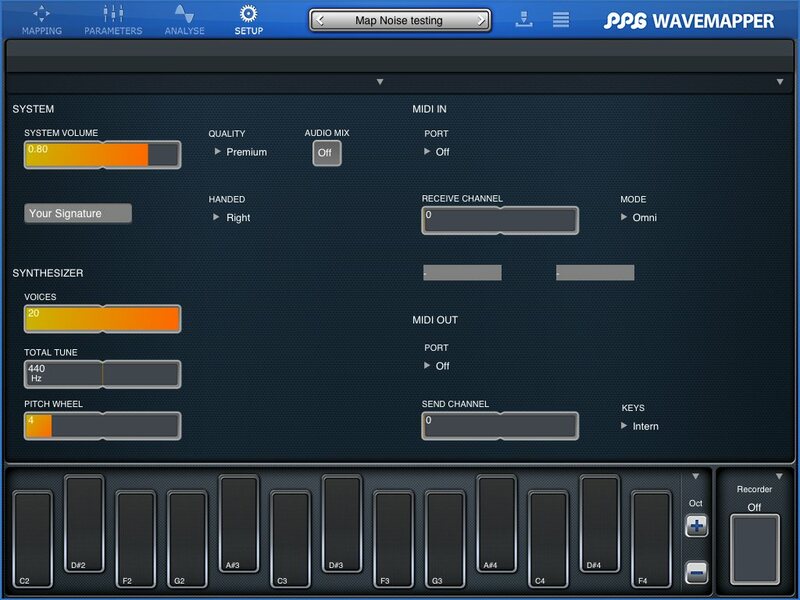 Russ Hughes tells CDM, “you can take a piano wave and then drop it on a drum envelope and then modulate it via a string envelope.” Think powerful hybrid sounds, mis-matching characteristics to form new timbres. 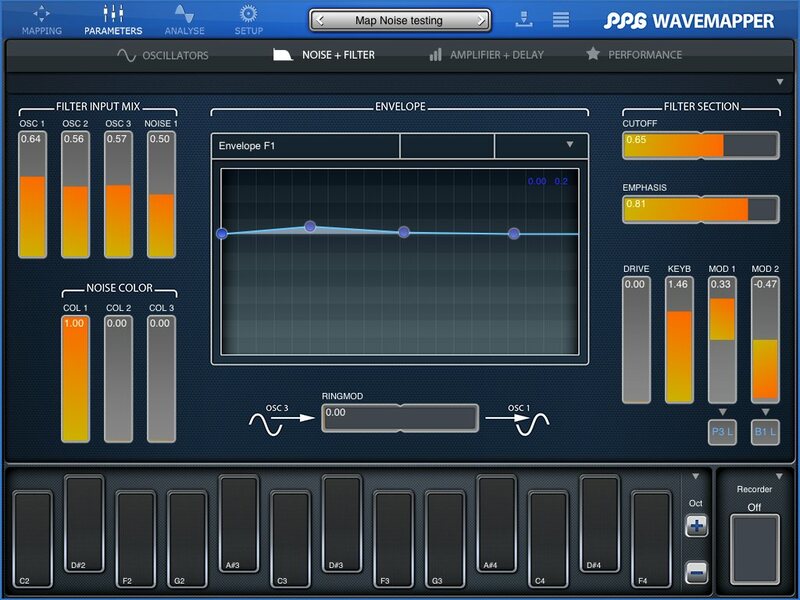 Under the hood, PPG touts a new wavetable synthesis engine that it claims improves upon the classic architecture. Given Wolfgang is the inventor of the approach, color us intrigued. We’ll have to test this ourselves and talk more to Wolfgang about that. WaveMapper uses a new the synthesis system, which can be seen as a bridge between wavetables and samples. In wavetable systems you have great flexibility in controlling the sound, but sound material is limited to harmonic, noise-free waveforms. On the other hand there are samplers, which have very high sound quality, but very limited editing features. In WaveMapper there is a new type, which we call “time corrected sample” (TCS). This can reproduce a much wider palette of sounds then classic wavetables, but still allows for a total control of the access via an envelope or LFOs. Oh, and there’s this excellent, cheeky promotional image. Burn. 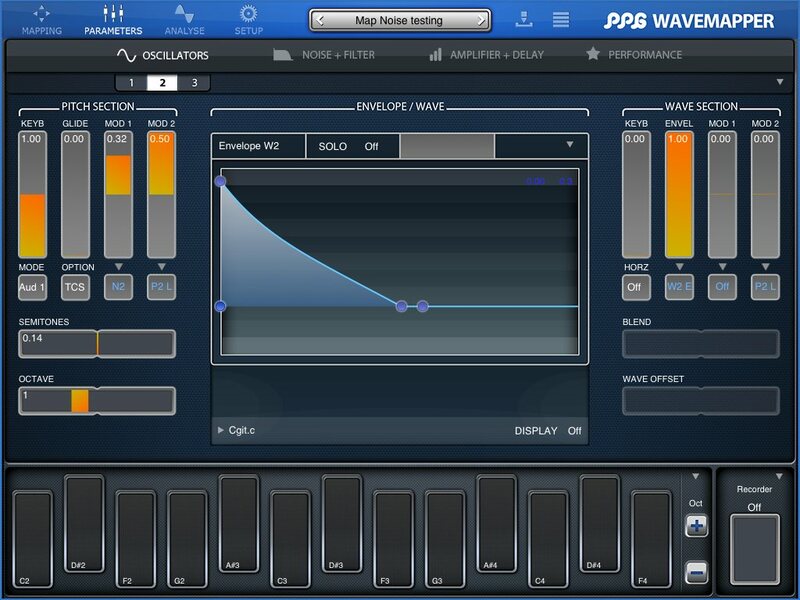 Classic PPG wavetables, if you want them. 99 sound “resources,” including instruments and wavetables. Three Noise generators routable as audio and modulation. 24 dB low-pass filter, overdrive. 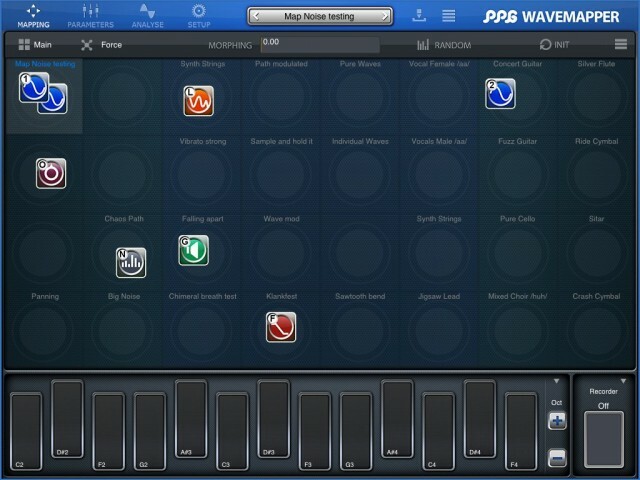 13 envelopes for pitch, waveform, filter, noise gain, panning. 4 LFOs, five waveforms each. 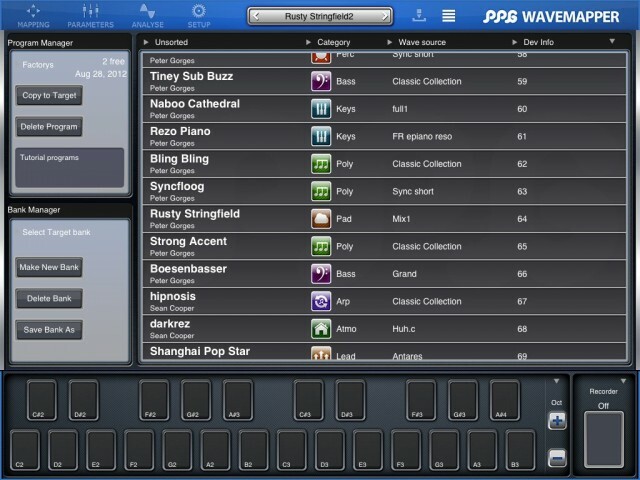 Virtual (inter-app) MIDI and Core MIDI. If you don’t hook up your own MIDI device, there’s also a “schematic” keyboard you can build with whatever pitches you like. All images courtesy Wolfgang Palm.